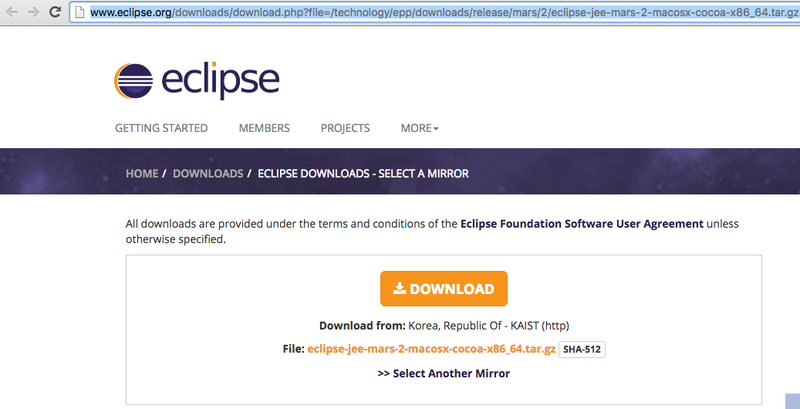 Step 2: Unzip the downloaded file and we will see the eclipse application Icon placed at the same location where we downloaded the eclipse tar.gz file. 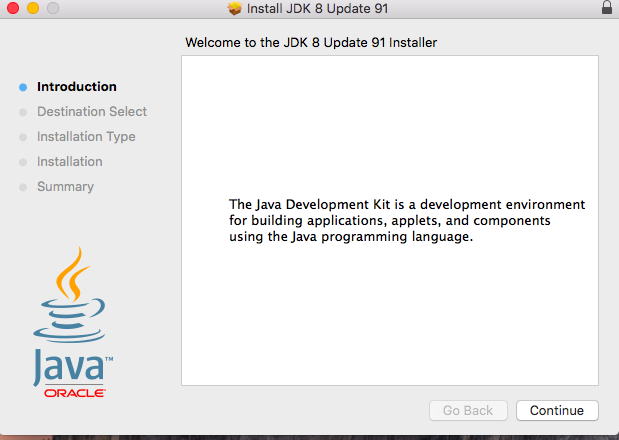 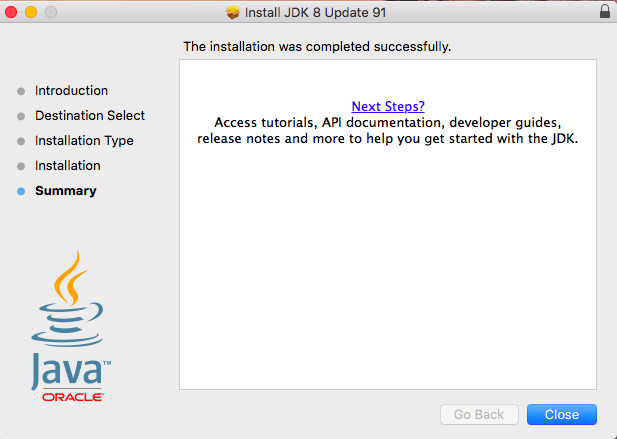 Step 3: Now we need to install JDK.The latest version is JDK 1.8. 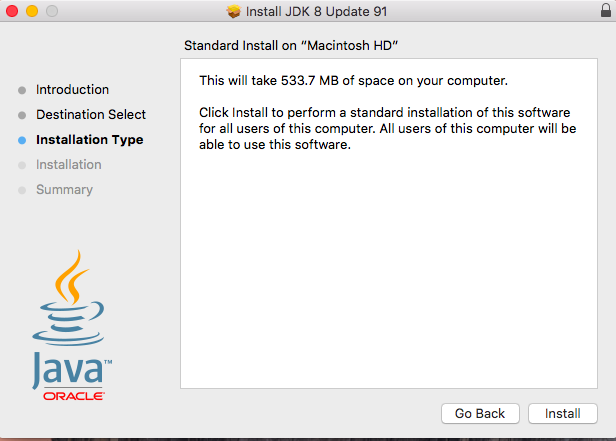 We need to download jdk-8u91-macosx-x64.dmg from below options for Mac. 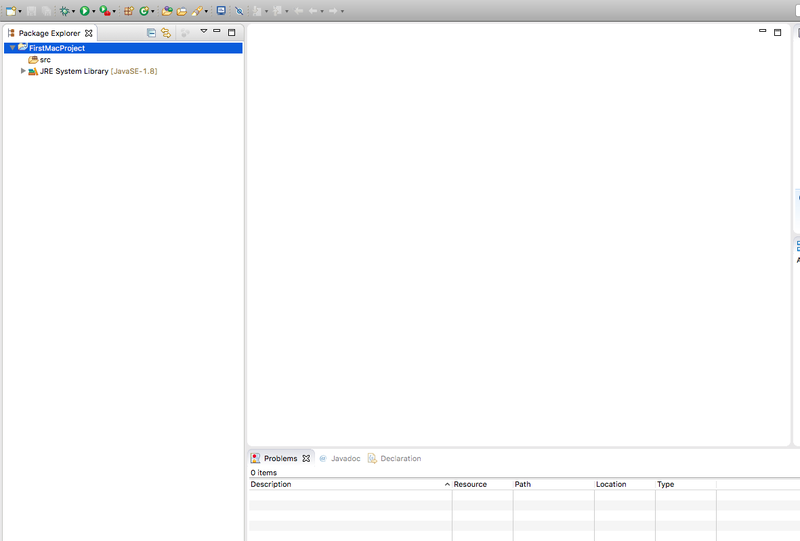 Step 4: Now open your Eclipse by double clicking on eclipse icon that got created after extraction of.tar.gz file and give the location wherever you want to create workspace and click ok. 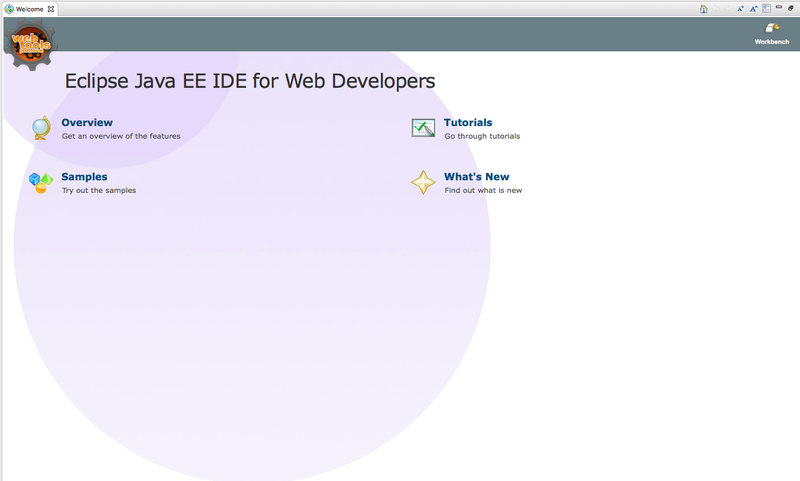 Step 5: You will get following screen. 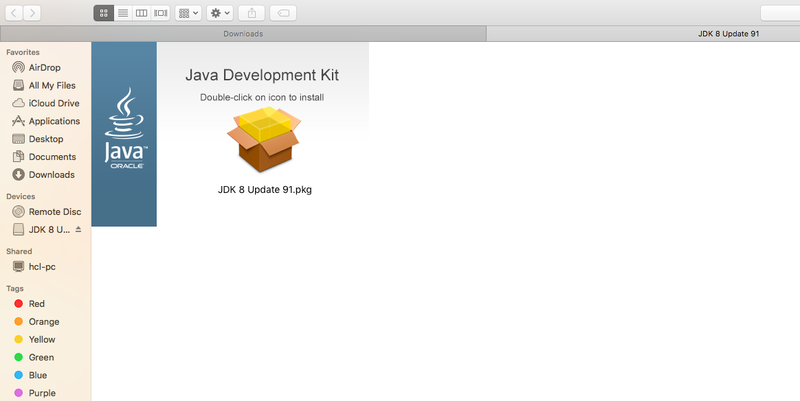 Step 6: Close welcome screen and create a new Java Project by selecting File->New-> Project.. ->Java Project. 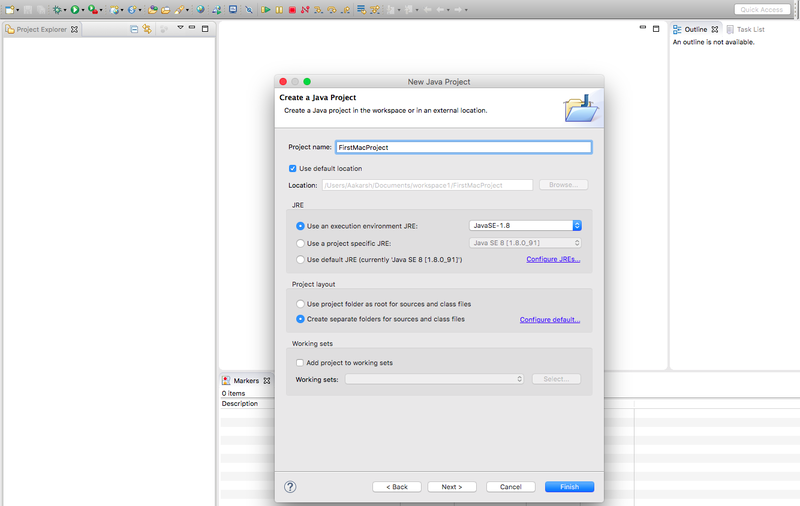 Give any name to project for example FirstMacProject and click Finish. 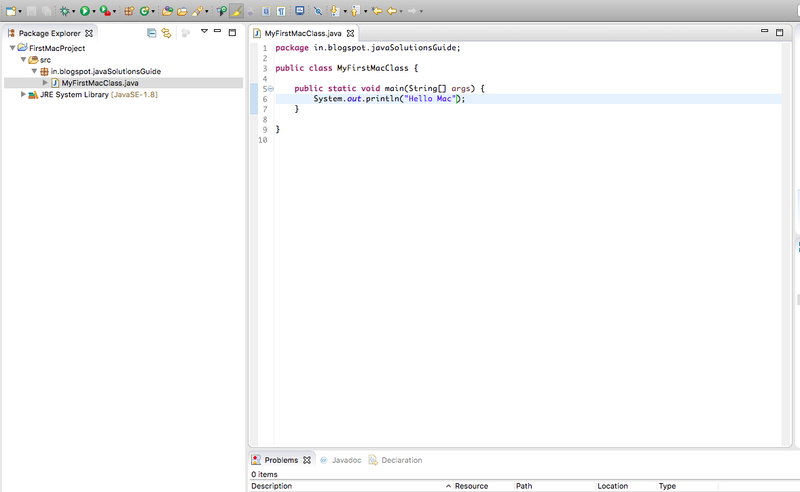 Step 8: Create a package with name "in.blogspot.javaSolutionsGuide" and create a class with name "MyFirstMacClass".Add sysout with "Hello Mac" message in it. 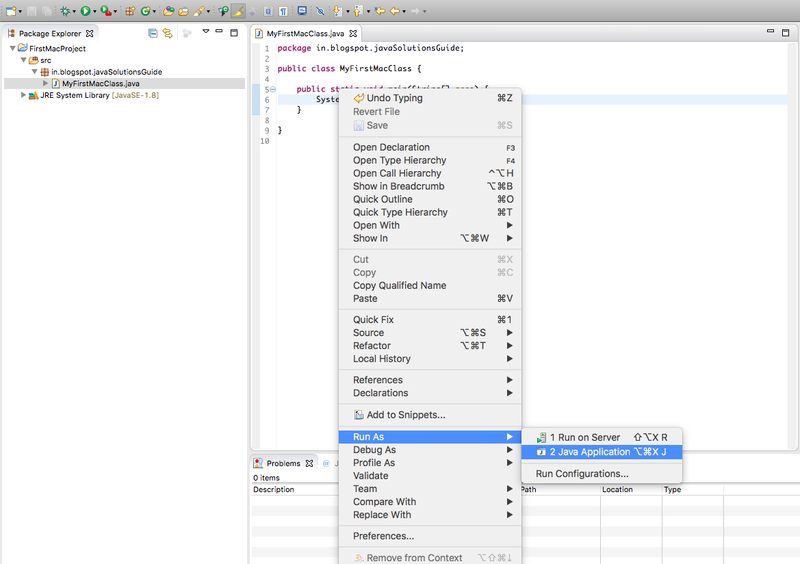 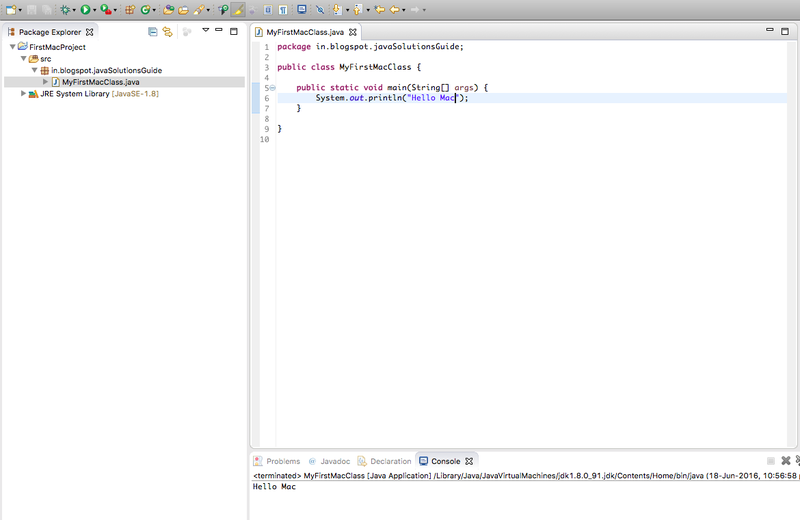 So with this we learnt how to setup Eclipse to run Java program on Mac machine.